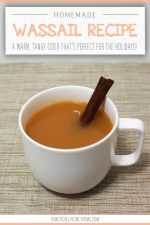 This recipe is part of the Handmade Holidays blog hop; there are more than 15 bloggers sharing awesome holiday recipes today! 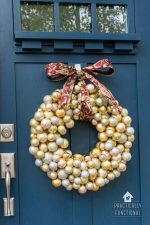 At the bottom of this post you’ll find links to all of the holiday recipes, and an awesome giveaway for a $50 Michael’s gift card! The recipe below makes 2 servings, unless your mugs are really, really big; then it might be more like 1.5 servings. 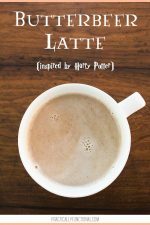 NOTE: If you wish to make a peppermint white chocolate mocha, add 1-2 oz of espresso to each mug just before pouring in the white hot chocolate. Or if you don’t have espresso, you can add 3-4 oz of brewed coffee to the mug before adding the hot chocolate. Add the milk, chocolate chips, and one candy cane to a small saucepan. 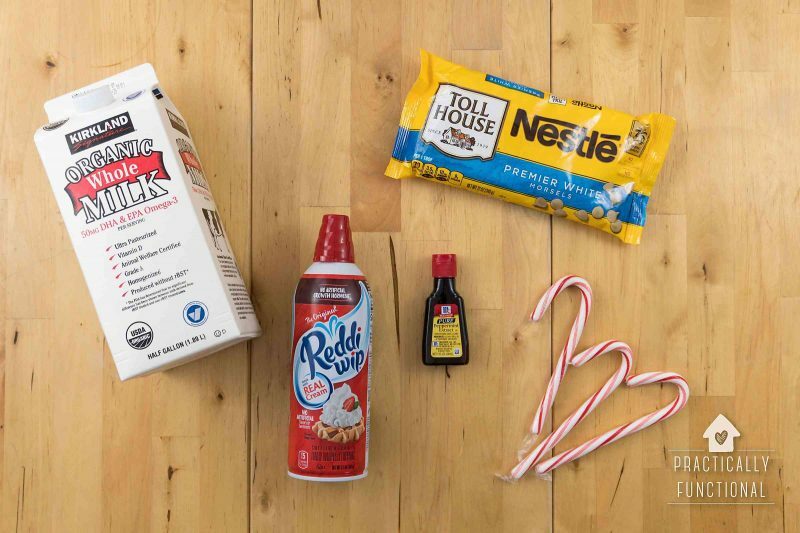 Turn the heat on to medium-high and cook until the milk heats up and the candy cane and chocolate chips melt. 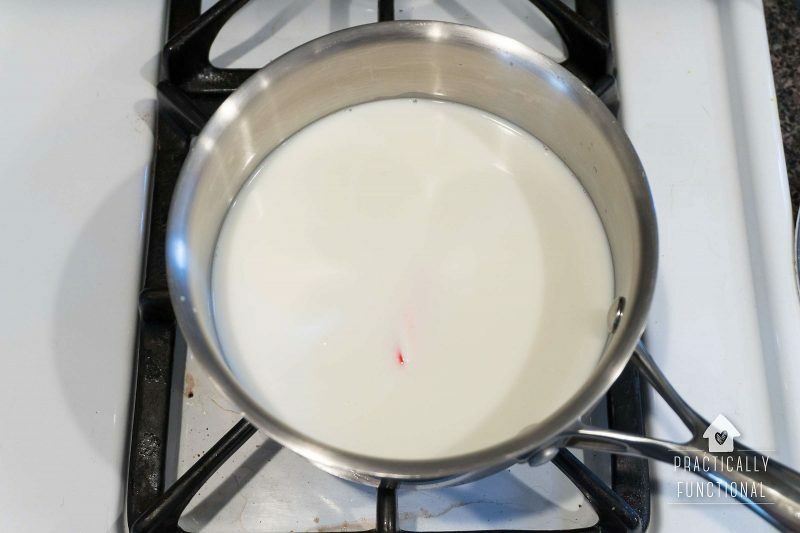 Stir often and make sure the milk doesn’t boil! 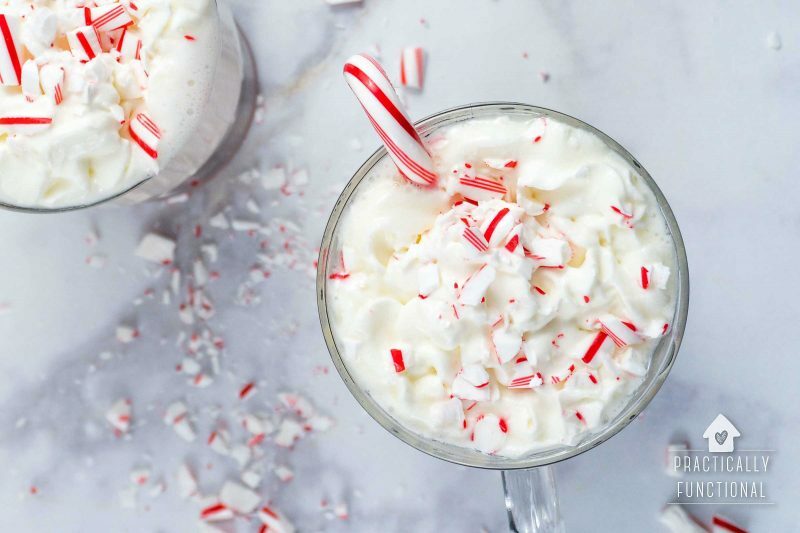 Once everything is melted and the milk is hot, remove the hot chocolate from the heat and stir in the peppermint extract. Pour the hot chocolate into mugs. 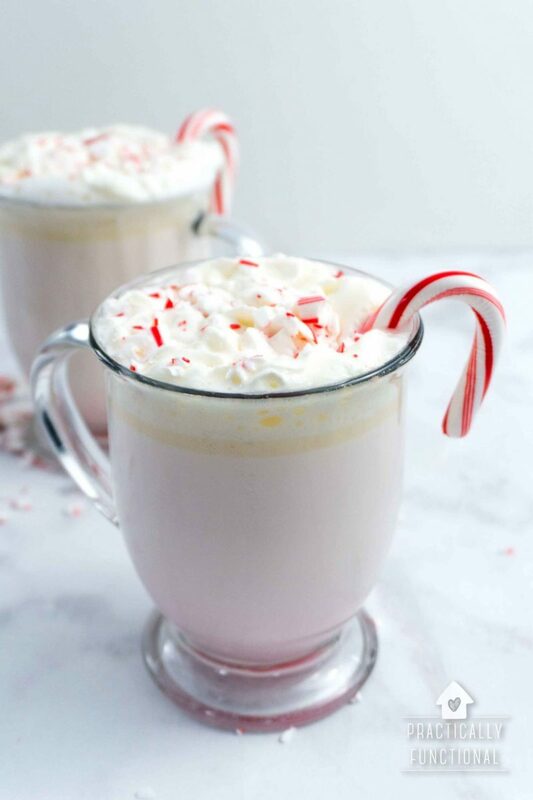 Top with whipped cream and a few crushed peppermint pieces, and garnish each drink with a candy cane, and you’re done! Enjoy them right away before the whipped cream melts! 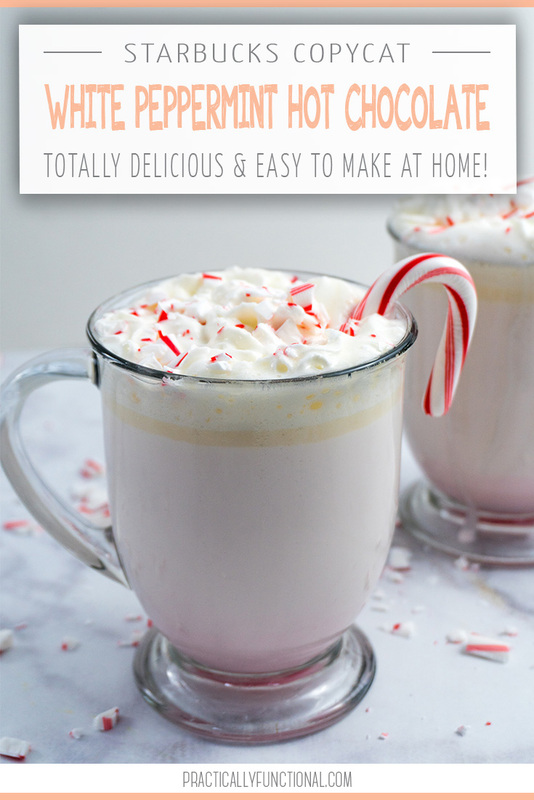 Make your own delicious peppermint white hot chocolate at home, and save the trip to Starbucks! 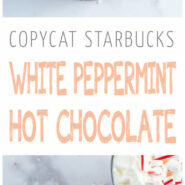 Or add espresso for a homemade peppermint white chocolate mocha! Cook the milk, chocolate chips, and one candy cane in a small saucepan over medium-high heat until the candy and chocolate is melted. Don't let the milk boil. Remove from heat and stir in the peppermint extract. Pour the hot chocolate into mugs. 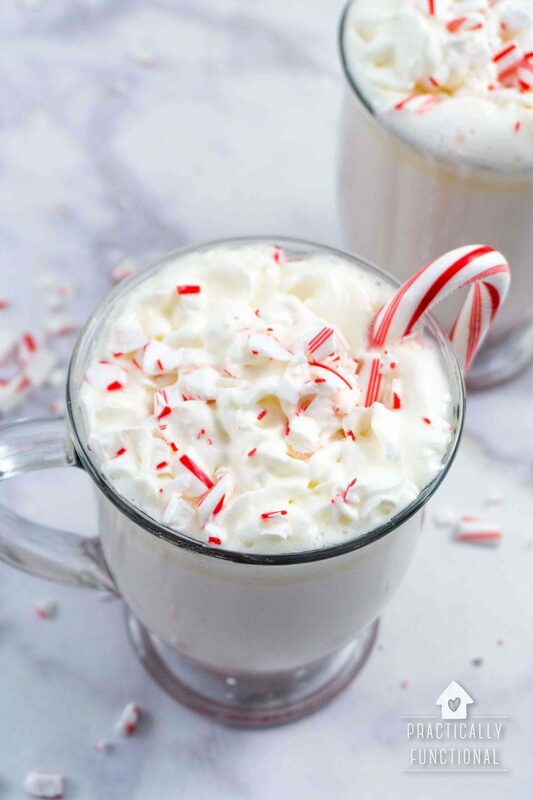 Top with whipped cream and a few crushed peppermint pieces, and garnish each drink with a candy cane. 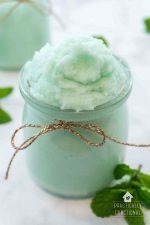 Enjoy immediately before the whipped cream melts! 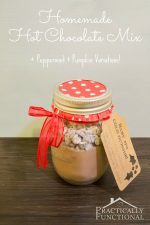 To make a peppermint white chocolate mocha, add 1-2 oz of espresso to each mug just before pouring in the white hot chocolate. Or if you don’t have espresso, you can add 3-4 oz of brewed coffee to the mug before adding the hot chocolate. 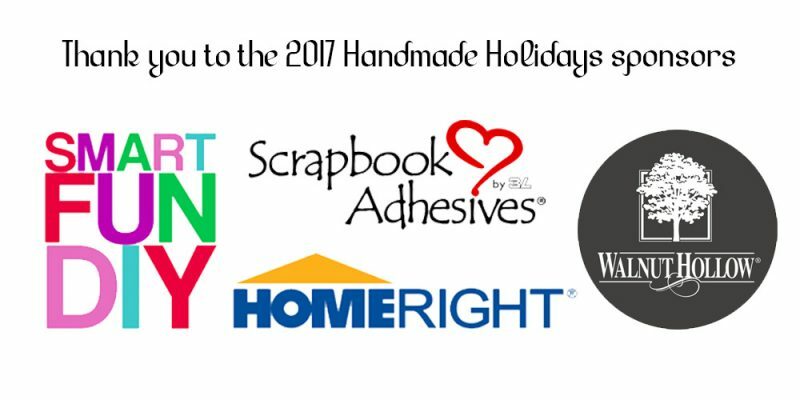 A huge thanks goes out to our awesome sponsors who helped make this year’s Handmade Holidays blog hop such a success! We are giving away a $50 Michael’s gift card, courtesy of Walnut Hollow, HomeRight, and Scrapbook Adhesives by 3L. Enter for your chance to win using the widget below, and good luck! YUM! And I LOVE Starbucks. Need to try this! I love this recipe so much! Thanks a lot for sharing it, this will be one that’ll be done over and over again!